Molly’s mom, Kathy, was diagnosed with colon cancer in early 2010. She underwent a successful colon resection and bravely faced chemotherapy and radiation treatments through a large portion of 2010. Cancer subsequently spread to her abdomen and she underwent another surgery to remove those tumors followed by further chemotherapy the following year. In the summer of 2012, the cancer was found in her spine. After undergoing further treatments and getting several opinions, the cancer was deemed terminal with no further treatment options available. Kathy courageously faced life and enjoyed every moment she could with family and grandkids. She was not a stranger to the business she started almost 30 years ago and continued to inspire all with whom she came into contact until her final day in June 2013. In the summer of 2010, Kathy assembled a Relay for Life team of family and friends called “Kathy’s Crusaders” and participated in the Salina, Kansas event. To raise money for the team, Molly and her husband Gordon organized a fundraising event at their home in Lincoln. 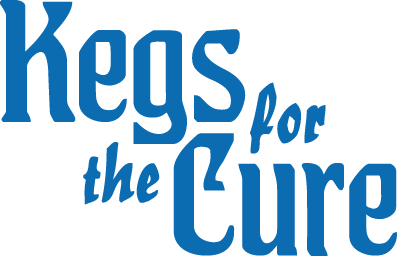 With Molly’s keen marketing and creative skills and Gordon’s homebrewing hobby, the “Kegs for the Cure” fundraising event was born. Gordon brewed six varieties of homebrewed beer in 2010 and the event raised about $800 for Kathy’s Crusaders. Building on the success of the event in 2010, a second event was held in the summer of 2011 with the help from four friends donating their time and homebrewed products to the event. In the years since the beginning, the event continues to grow, raising nearly $25,000 in our seven year history. Hopefully this event will become of a thing of the past when funds are no longer needed to research this disease.